I gave one of the resin frames a coat of gesso, backed it with a small piece of paper from the pad and popped a glass button in the centre. Loaded with Wild Orchid Crafts flowers which I blinged up with some white glitter. Last one before the product deets – the butterfly die really does pop off the front of the card. Tilly Little Spring Helper gets her turn in the spotlight today. She’s another new stamp from Whimsy Stamps latest release and was a total blast to colour. It's release week at Whimsy Stamps and over the next 3 days we will be showcasing *BRAND NEW* stamps and dies. 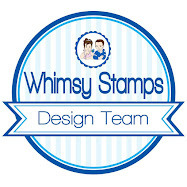 All the stamps as well as details on how to win some fabulous prizes can be found on the Whimsy Inspirations Blog. I have a card using Elisabeth Bell’s Milly and the fab new clear You Complete Me stamp set and co-ordinating die. Love how different the jig saw piece is to the usual round and square sentiments. 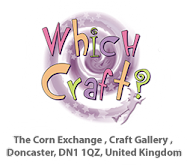 All flowers are from Wild Orchid Crafts. It’s been a while since I coloured up a Saturated Canary image, and Hand Me Downs is one of my favourites. I love this new With Love paper pad from Noor Design, the vintage colours are so pretty and I love purples and greens together. Happy New Year! I hope 2016 is going to be an exceptional one for us all. Today’s card is all about the drama, and nothing shouts drama than black (a colour I am terrified of ha!). I had a bit of a sort through my paper stash several weeks back so my grandkids could have some stuff for play group and also beavers. They went away happy kiddoes. Anyhow, whilst I was sorting I found a box of Prima pads that had never seen the light of day and this one jumped out at me, so in between sorting out I whipped up this card. I love this metal clock, it’s part of a set of charms from Wild Orchid Crafts. I cut out some of the clocks from the papers and popped them in the bottom right corner, and also broke up the black a bit by adding a die cut butterfly (Cheery Lynn I think). And just peeking out beneath the flowers are a couple of gold metal flowers. Love these. And of course finished off with some delish Wild Orchid Crafts flowers and a seam binding bow (product details at the end of the post). The leaves are a Memory Box branch die, and the doily die is by Crafters Companion.